Add a contemporary handle to your classic shaker kitchen for a modern twist, such as this square style knob in brushed nickel. 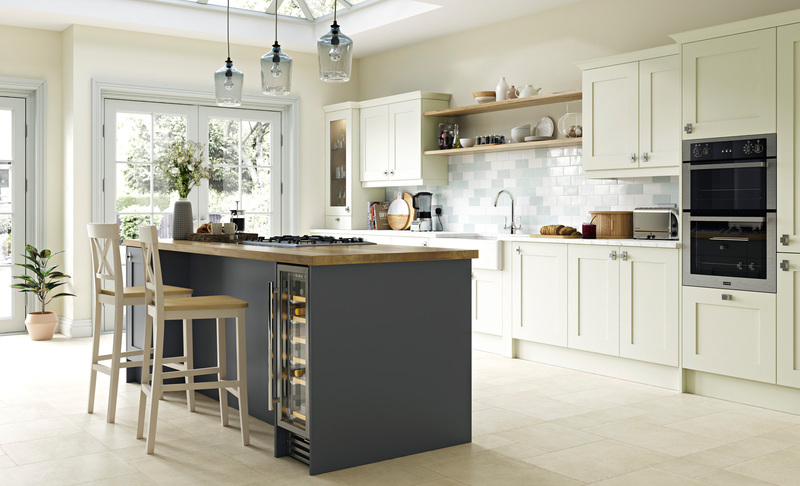 Choose a darker painted colour for your island to create a vibrant contrast in your kitchen. Graphite works beautifully with porcelain.